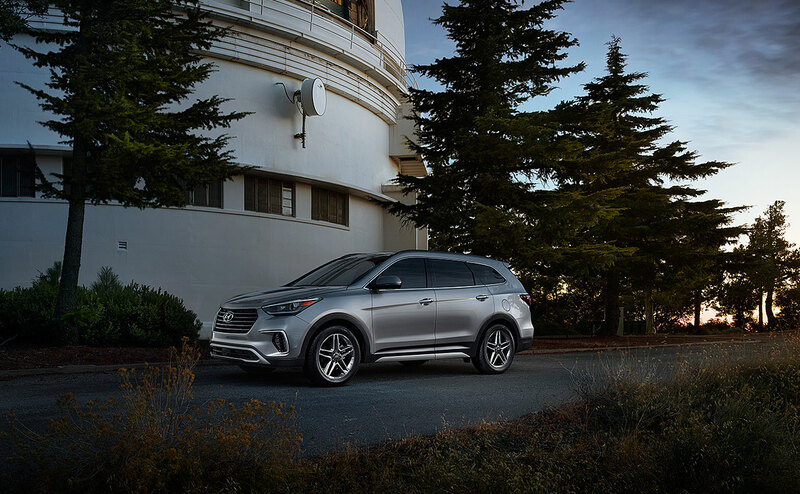 If you want a spacious SUV with spacious seating for up to seven passengers, loads of cargo space, and a lot of style while still being an amazing value, then you should check out the 2017 Hyundai Santa Fe. 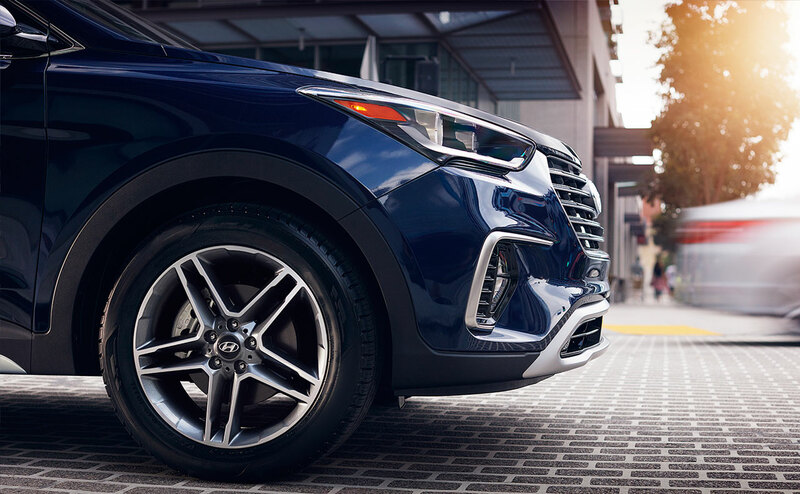 This impressive vehicle is now available at All Star Hyundai, where we serve shoppers from Baton Rouge, Denham Springs, Prairieville and the surrounding areas with a wide selection of new Hyundai vehicles. 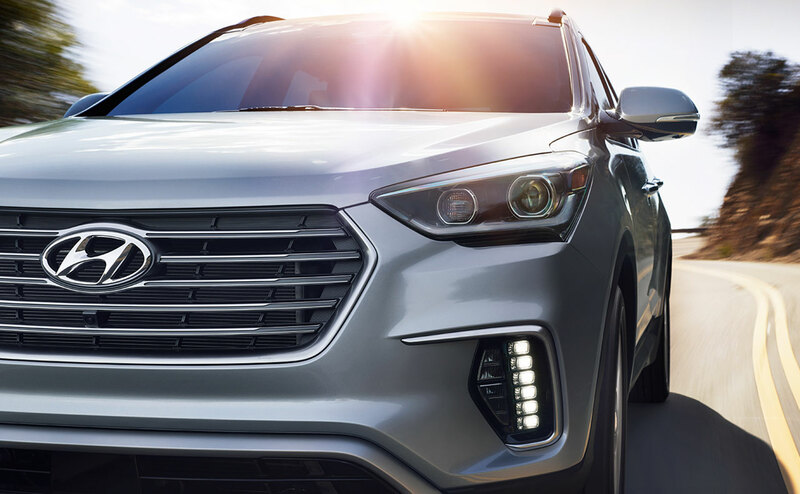 We have the new Hyundai Santa Fe for sale in Baton Rouge, so come and explore all that this amazing family-sized vehicle has to offer at our Hyundai dealership in Baton Rouge and find a great new vehicle that will suit all of your driving needs, from carrying cargo to transporting passengers. 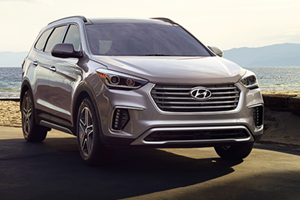 For the 2017 model year, the Hyundai Santa Fe has been heavily redesigned; with a brand new design, even more cargo space, and a healthy dose of Hyundai value. The front and rear bumpers are new and the interior was also given a fresh look and feel with upgraded materials and a new layout. 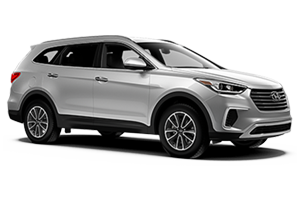 There are now four Hyundai Santa Fe trims available; the SE, Limited, SE Ultimate, and Limited Ultimate. The SE trims both feature comfortable seating for seven with a three-passenger bench in the second row while the Limited trims opt for six-passenger seating with second row captain's chairs for added opulence. 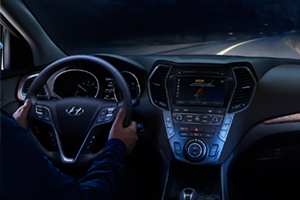 The Santa Fe also features LED fog lights (Limited trim and above) to help you see and be seen by all on the road. 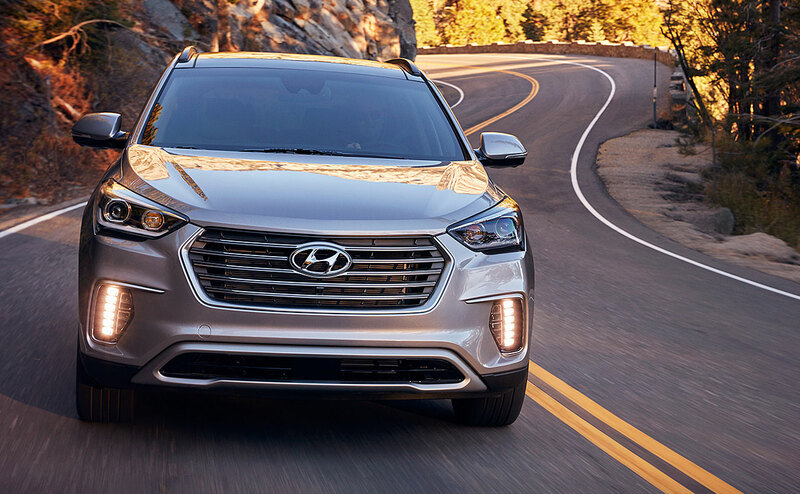 The 2017 Hyundai Santa Fe wears a new look, but it's all business as usual under the hood. 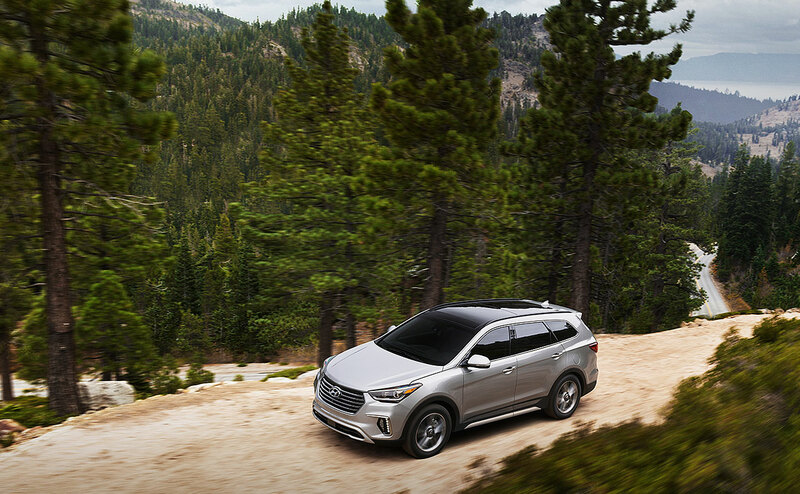 The Santa Fe is still powered by the competent 3.3-liter V6 attached to a capable six-speed automatic transmission with Shiftronic technology. The engine makes 290 horsepower and can earn up to 18 miles per gallon in the city and 25 miles per gallon on the highway. 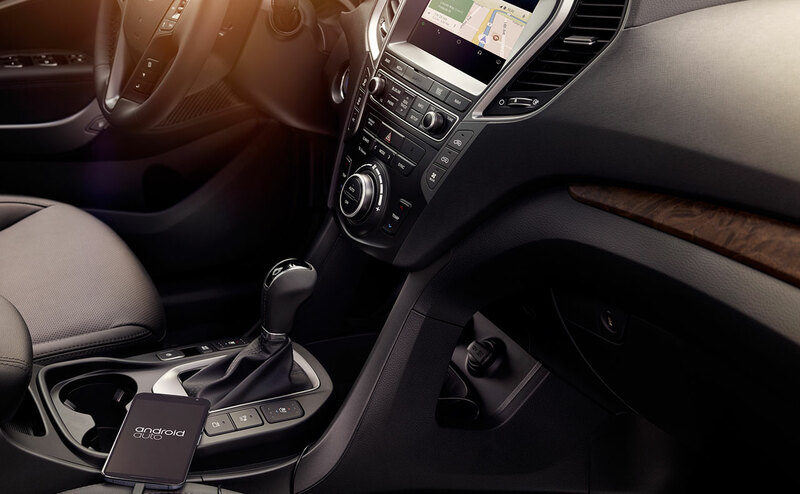 The powertrain is backed by America's Best Warranty; a 10-year/100,000-mile Powertrain Limited Warranty that will help keep hefty repair bills out of your budget if something should go wrong with your vehicle's innermost workings. 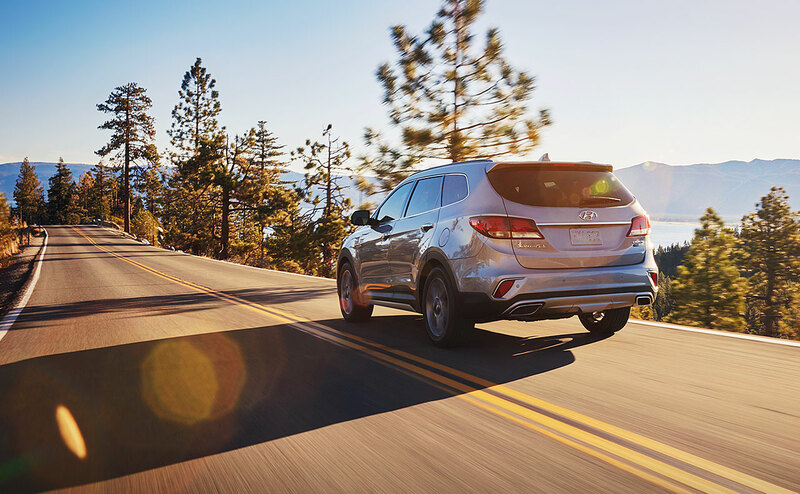 Front wheel drive is standard, but all-wheel drive can be added on any trim level of the 2017 Hyundai Santa Fe. 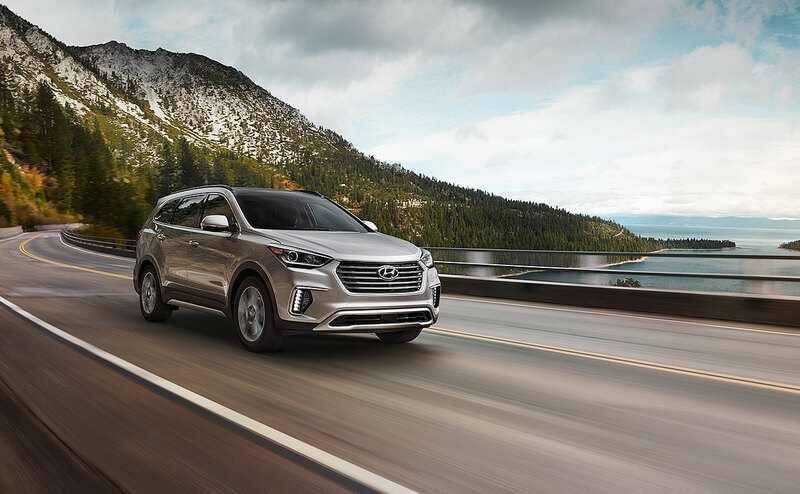 The Santa Fe offers an amazingly comfortable ride in each of its trims, and it has a huge size advantage over smaller crossovers in its segment. 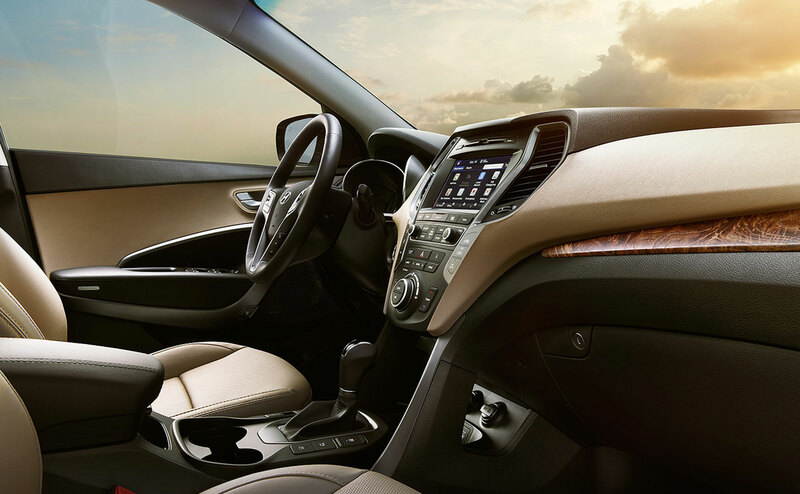 There is a lot of knee and leg room in every seating position, and the seats feature more bolstering and are more supportive and much more comfortable for long-haul road trips. 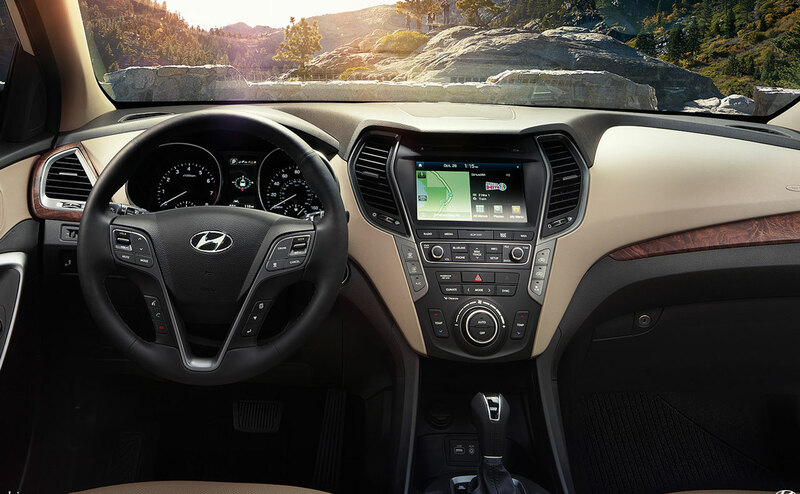 You will find a standard power-adjustable driver's seat on all 2017 Santa Fe models, and a power-adjustable front passenger's seat is standard on all but the SE (in which it is an option with the Premium Package). 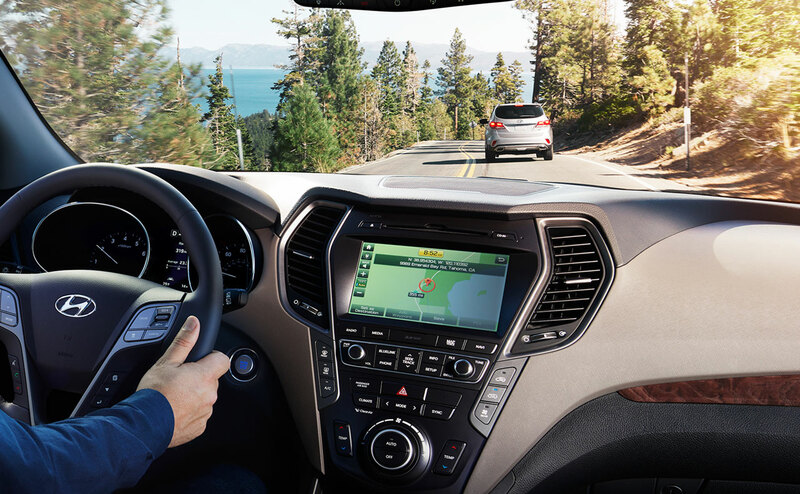 Every 2017 Santa Fe trim offers standard features like a rearview camera, automatic headlights, keyless entry, cruise control, Bluetooth for phone and audio, steering wheel-mounted controls, dual-zone climate control, four 12-volt power outlets, six speakers, and auxiliary input port, and a 7.0-inch touchscreen display. 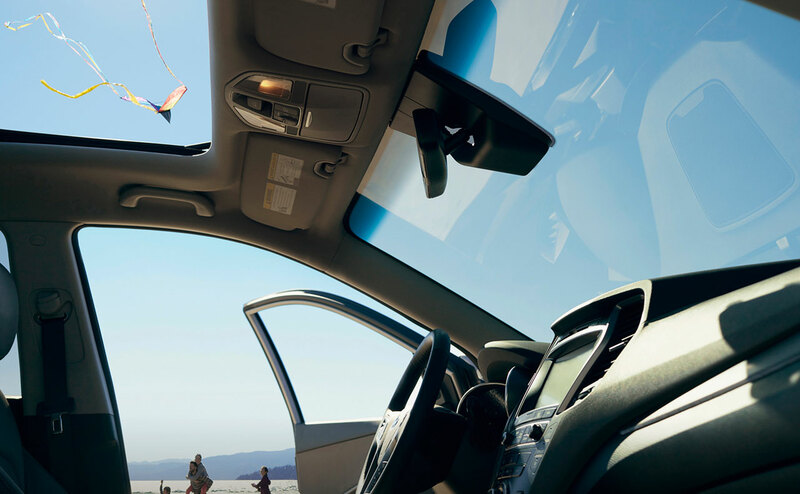 Upgrade yourself to the Limited trim (or higher) and you will get standard leather seating, heated and ventilated seats, a power hands-free liftgate function, an Infinity premium audio system, and an upgraded 8.0-inch touchscreen display. 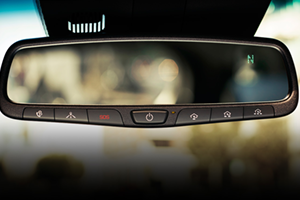 A Tech Package for the SE Ultimate and Limited Ultimate trim levels includes goodies like Smart Cruise Control (SCC) with stop/start technology, an Automatic Emergency Braking (AEB) system with Pedestrian Detection function, a Lane Departure Warning (LDW) system, an Electronic Parking Brake (EPB) with Automatic Vehicle Hold function, HID (high intensity discharge) headlamps, Dynamic Bending Light (DBL) function, and a high beam assist system. 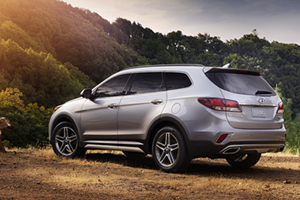 There are so many great things to love in the Hyundai Santa Fe that you might not want to ever get out of your car! 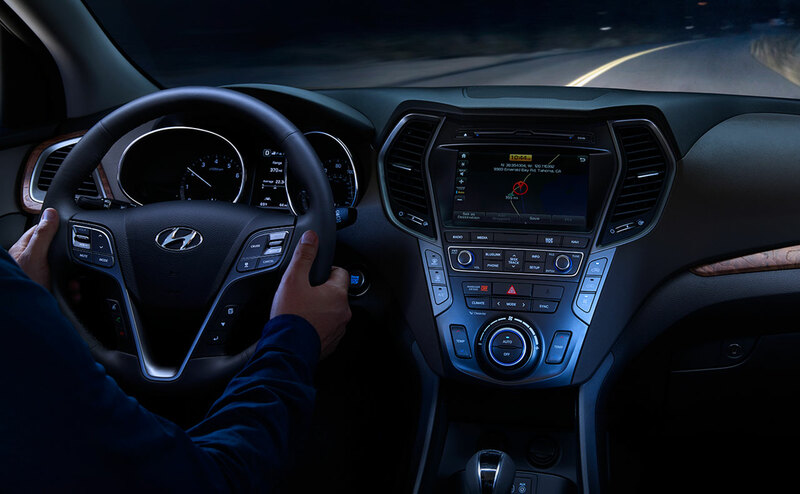 To keep you and your family as safe and sound as possible, the 2017 Hyundai Santa Fe is packed with amazing safety features on every trim. Standard across the lineup you will find safety systems like a rearview camera, a vehicle stability management system electronic stability control, traction control, four-wheel four-channel anti-lock disc brakes (with brake force distribution and brake assist technology), a downhill brake control system, a driver's knee-area airbag, advanced SRS airbags for the driver and front passenger as well as a cabin full of airbags for the rear passengers, and much more. 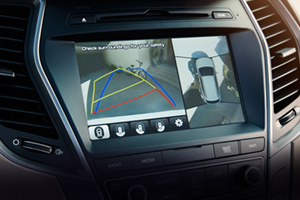 For added security, add the Technology Package and you will get a host of amazing collision mitigation safety systems that will keep you even further from danger while you are driving. 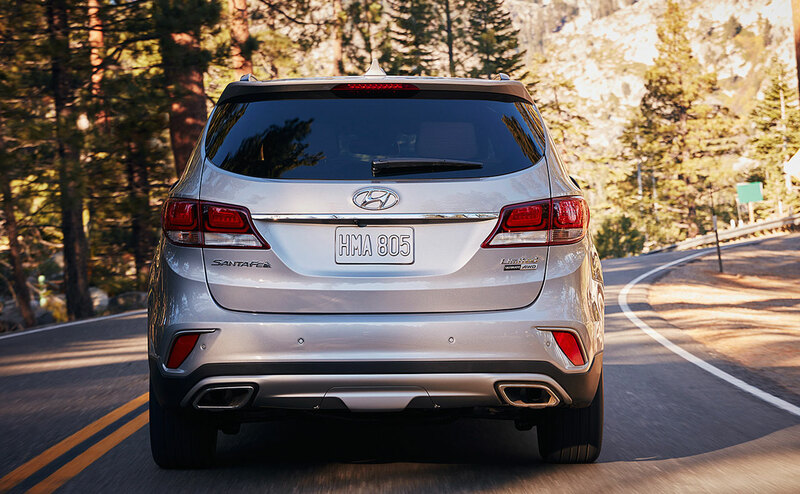 Come and see why drivers everywhere in Baton Rouge and beyond are talking about the 2017 Hyundai Santa Fe. 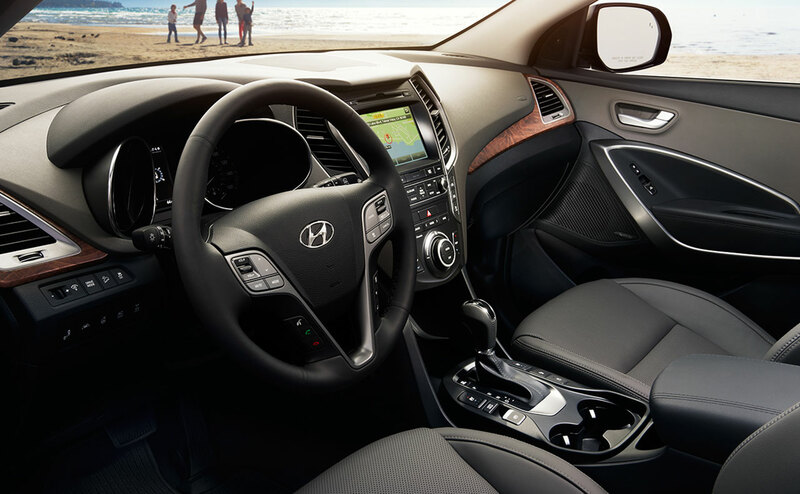 This amazing family vehicle is ready to catch your attention in our showroom here at All Star Hyundai, so come in for a test drive today. 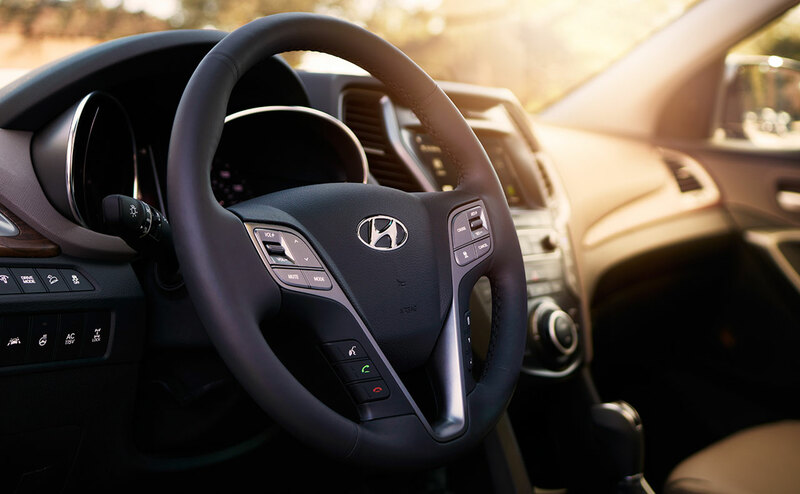 We are located at 10313 Airline Highway and serve the communities of Baton Rouge, Denham Springs and Prairieville, LA with a great selection of new Hyundai models. Check out the Santa Fe in Baton Rouge today!